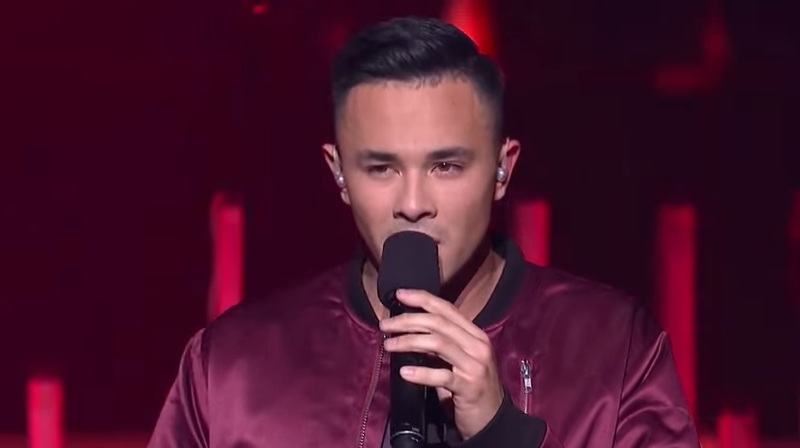 MANILA, Philippines - Filipino-Australian Cyrus Villanueva entered the grand finals of the hit singing reality competition 'The X Factor Australia' as revealed on Tuesday, November 17. The 19-year-old Villanueva is one of the three finalists along with singing duo Jess and Matt and former band vocalist Louise Adams. They survived the semi-finals decider round where Big T got eliminated. "I had the best time tonight, and feel so blessed for everyone's response! THANKYOU all," Villanueva shared on Twitter. On Monday, Villanueva wowed the judges and viewers as he performed Ed Sheeran's "Don't" and Phil Collins' "In the Air Tonight" for the 'killer tracks and curveballs' theme this week. “Every time someone wins the show they think back to that certain performance that was the nail. I think that was the nail. If you win the show people will remember that,” judge Guy Sebastian told him. “This week we saw you singing on top of a box. I reckon you've got a high chance, in two weeks, that they're going to stick you in the box and sell you,” James Blunt said. If he will win this year's X Factor in Australia, it will be a back-to-back celebration for Pinoys as the teen singer Marlisa Punzalan won the title last year. The grand finals of X Factor Australia Season 7 is set on November 23 and 24, 2015 (Monday and Tuesday). Celebrity performers include Kylie Minogue and Dannii Minogue ("100 Degrees"), Jason Derulo, Rudimental and James Blunt. Do you think Cyrus Villanueva will be the next grand champion of X Factor?